The application process for charities was easy. We applied online to be included as a national independent charity in the upcoming campaign. The instructions were clear and the support desk was easy to reach and helpful when we did have questions. Submitting our own application rather than relying on a federation to do it for us means FEEA was able to cut some of the costs previously associated with CFC participation. The fee structure is much more transparent and cost-efficient. Let’s face it, all forms of fundraising have a cost. And the costs of the old CFC system, to both charities and donors, were sometimes more than other forms of fundraising a charity might engage in. While some smaller charities may be frustrated by having to pay the upfront registration fees to join the campaign, we at FEEA believe this method provides a greatly needed level of transparency about the costs of participation in the campaign. Before, it was almost impossible to know how much was taken off the top due to pledge loss (for example, federal employees retiring, which stopped their allotment) and how much was due to fees taken out along the way from the different administering bodies. Retirees can join in. The inclusion of annuitants provides a service to those who are retired, would like to donate, and would like their gift spread out over the year to make personal budgeting easier. Employee pledging promises to be paperless and simpler. The new system is supposed to be a one-stop shop for all agencies and payroll systems. This will ultimately drive the costs of administering the program down and more dollars will go to charities. We hope OPM makes the website for the system public so charities can help steer their federal employee donors to it easily and help spread the word about the positive changes taking place. The system will capture employees’ personal philanthropy more holistically by tracking pledges to volunteer. More and more charities recognize that donor engagement, for example by volunteering, also increases financial giving. As an organization that relies heavily on volunteers, FEEA knows the value of the gift of time firsthand. As a bonus, the new CFC system will begin to capture in the aggregate how much federal public servants give to their communities on their own time. The campaign will run until Jan. 12, 2018. We know everyone is busy at the end of the year with holidays, family events and scheduled leave. 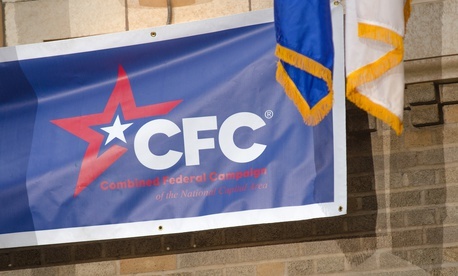 Keeping the campaign open until mid-January gives participating feds a little more time to figure out their budgets for the year and make their pledges after the holiday season is over. All the charities I know want to keep their donors up-to-date on the impact of their donations. Please remember when you sign up for the CFC to check that your information can be shared with the charity. Otherwise we have no way to let you know how your donation was spent. In the end, these changes make us at FEEA confident that more donated dollars will get to their final destination, as intended by the many feds who give so generously. Joyce Warner is executive director of the Federal Employee Education and Assistance Fund.